The General Motors Company (NYSE: GM) IPO launched on November 17, 2010. Since then, much has happened with the “new” General Motors. Over the past four years, from November 17, 2010, when the “new” GM launched, to now, General Motors Company share prices were down about 2 percent from the IPO price. The road in between, has had its ups and downs. November 17, 2010, the General Motors Company IPO launch raised $20.1 billion at $33.00 per share. The next day the U.S. Treasury recovered $13.5 billion reducing the Treasury’s stake in GM from 61 percent to 33 percent. General Motors Company repurchased all preferred stock held by Treasury for $2.1 billion December 15, 2010. December 31, 2010, General Motors Company stock closed at $36.86, up 10.5 percent over the IPO. October 3, 2011, The New York Times published a blog post saying the National Highway Traffic Safety Administration was about to conclude General Motors should have recalled Saturn Ions in 2010 as part of a large recall covering Chevrolet Cobalts and Pontiac G5s for a steering problem. General Motors Company stock closed December 30, 2011, at $20.27, down almost 39 percent from the initial offering. During 2012, General Motors Company identified several crashes and fatalities involving 2004 Saturn Ions. All were attributed to a defect in which airbags failed to deploy. Also in 2012, GM engineers noticed that crashes in which the ignition was not in the “run” position only occurred in cars from 2007 and earlier. In September, GM reported August sales up 10 percent from 2011. The company said Chevrolet passenger car sales were up 25 percent. 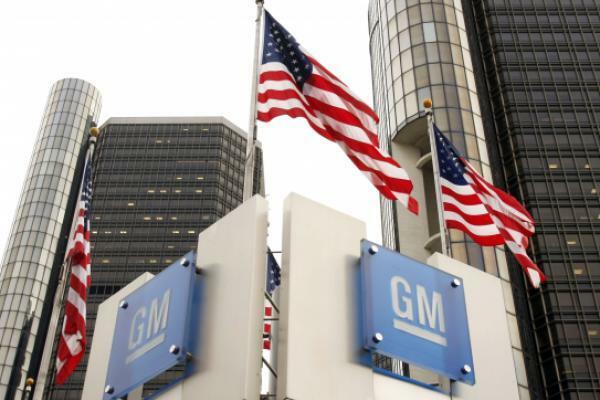 General Motors repurchased 200 million shares of common stock from the U.S. Treasury on December 21, 2012. At the end of the trading day, December 31, General Motors Company stock closed at $28.83. This represented an improvement over 2011 but still a drop of almost 13 percent from the IPO price. December 9, 2013, saw the completion of the last of four stock sales resulting in the U.S. government having no remaining GM shares. By the end of 2013 (December 31), GM had determined the faulty ignition switch was to blame for at least 13 deaths and on that date, GM stock closed at $40.87 representing a more than 19-percent bump since the IPO in 2010. GMrecalled about 800,000 Chevrolet Cobalt and Pontiac G5 vehicles February 7. Later that month the company added 600,000 Chevrolet HHR, Pontiac Solstice, Saturn Ion and Saturn Sky vehicles to the recall. Near the end of February, just ahead of GM CEO Mary Barra’s defense of the company’s handling of the recall on March 4, a U.S. auto safety regulator said it was investigating whether GM responded quickly enough to the ignition switch problem. By the end of March, according to Barra, GM’s recall covered 2.6 million vehicles worldwide. During the month of April 2014, GM dealers began making repairs to affected cars. By May 23, 2014, it was reported that only 2 percent of the 2.6 million GM cars recalled for ignition switch failure had actually been repaired. June 2014 saw additional recalls and an announcement by Barra that 15 employees had been dismissed and an additional five more disciplined for their handling of the ignition switch problem. June 30, GM recalled an additional 8.4 million vehicles worldwide, mostly for faulty ignition switches. In July, the company reported net income of $200 million in Q2 after a charge of $1.2 billion for recall-related expenses. November 25, 2014, GM stock closed at $32.13, down about 2 percent from the 2010 IPO.